So I set out to recreate them. It took some serious research and trial an error. And I believe I’ve done it! And I’ve been told by a couple of friends that they actually like mine better – so take that Two Ten Jack. 🙂 I add shiitake mushrooms and shrimp to mine so it’s more of a meal instead of a side. 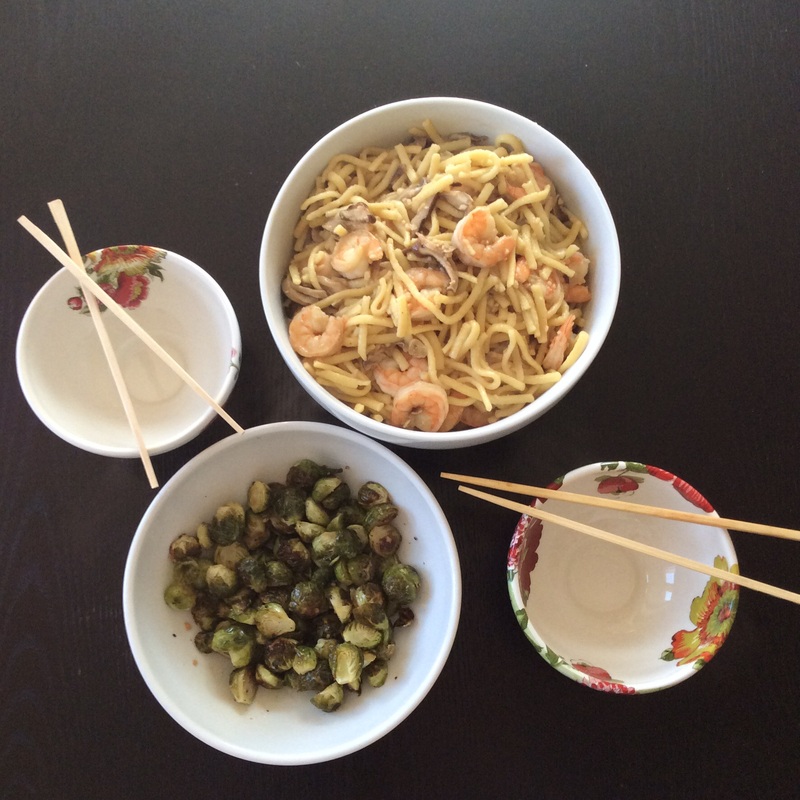 I also serve it with crispy roasted Brussels sprouts that are sauteed in the same sauce I use on the noodles. I’m not gonna lie. It’s pretty darn amazing. Yellow Noodles. 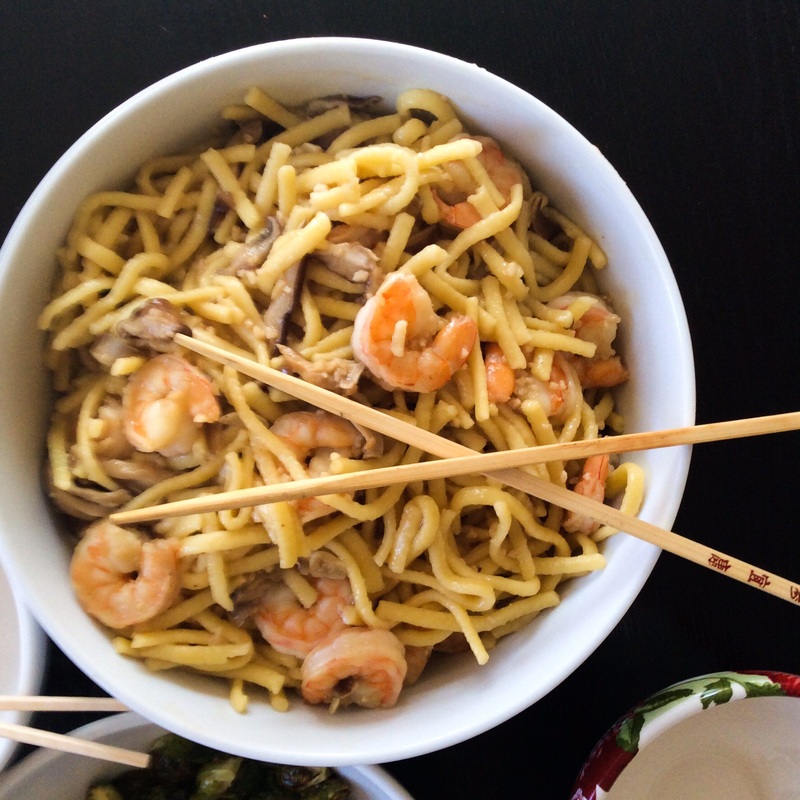 Now you can use regular ramen noodles (just throw away those flavor packets – ick!) 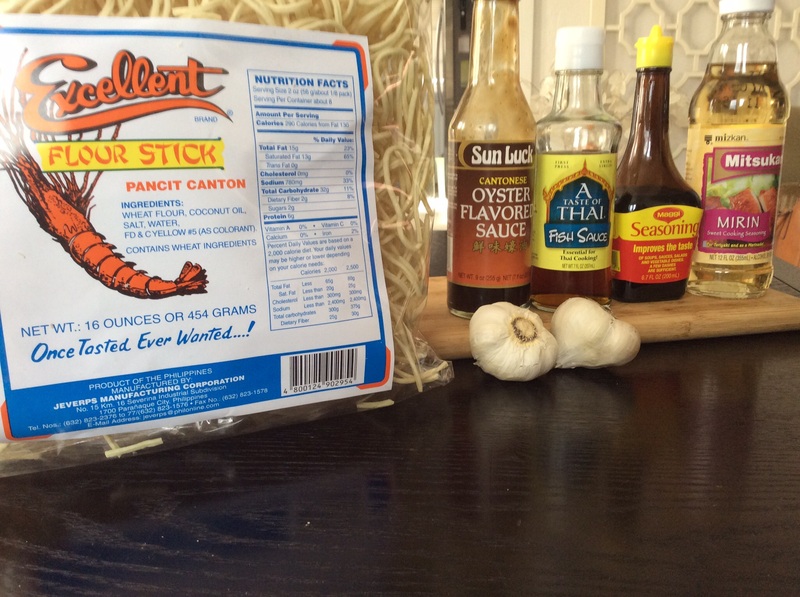 or you can look for yellow noodles at your local Asian market (like the flour stick ones shown in the photo above). But I discovered an even better noodle that gives you a heartier, toothier feel and holds onto to the garlic sauce beautifully. And believe it or not – they’re German! 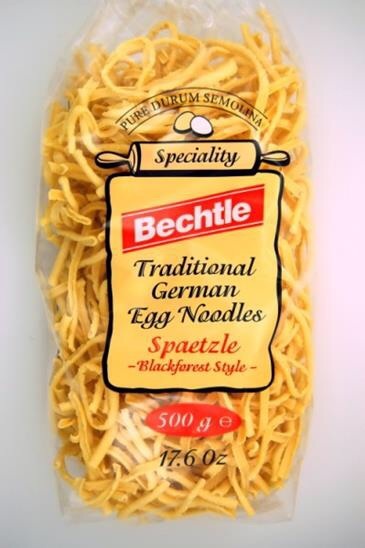 Spaetzle noodles can be found in specialty food stores (I found these in the gourmet section of World Market). Be sure you’re getting the noodles and not the dumplings. Shell and de-vein the shrimp. Julienne the mushrooms. Get a pot of boiling salted water on medium-high heat. Put noodles in boiling salted water. Ramen or Asian yellow noodles will only take a few minutes. If you’re using the spaetzle it will take a little longer – about 7-8 minutes. Be sure to watch them and taste – you want them a bit al dente or they will over cook and become mush. Prepare the garlic sauce using a saute pan on medium to low heat. Add the butter into the pan and when it melts, add the garlic and saute until aromatic but not browned. Add all the seasonings into the pan, stir with whisk to combine well. Transfer 3/4 of the garlic sauce into a bowl. Saute the shrimp and mushrooms in the remaining sauce. Add more if needed. Drain and rinse noodles and toss with the garlic sauce. Add shrimp and mushrooms. Serve hot! If you’ve followed this blog long enough you know that my perfect bite usually consists of stacking your fork with each of the components on your plate. That’s exactly what you want to do here!